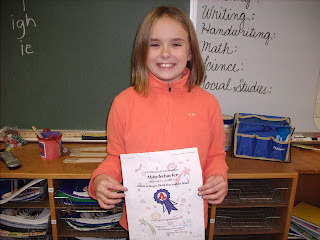 Mrs. Hoskins's Third Grade: Congratulations Abby! Congratulations to Abby Schaefer on receiving the award for the 7 Habits trait "Begin with the End in Mind" at this week's awards assembly. 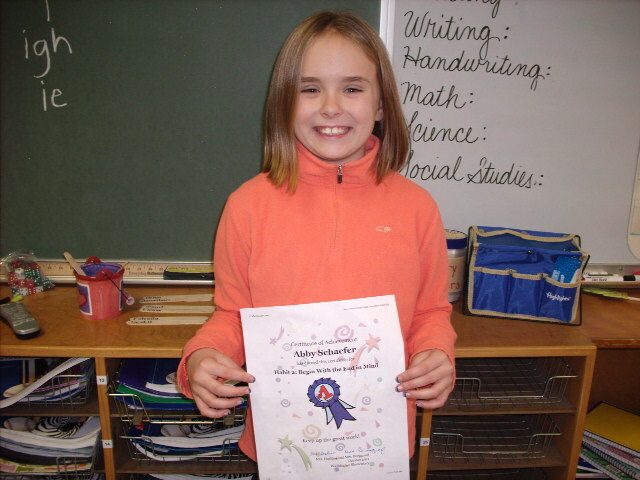 Abby Schaefer is a good example of the second trait “Begin with the End in Mind”. She works hard on all assignments and knows that hard work will help her gain knowledge. I can count on Abby to complete all her homework and return it in a timely manner. She works well with a partner or in a group to complete an assigned task. Abby is a positive leader in our classroom!